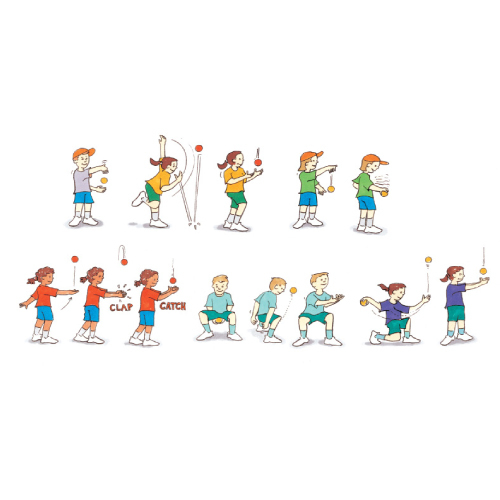 Throw clap catch is a fun, cooperative activity that supports players to develop the fundamental skills of catching. Each player begins with a ball, which they throw in the air, clap their hands and then catch the ball. Options for this game are to see how many claps a player can do, clap behind their backs or touch the ground. Can you show me the best way to catch the ball?